As I will come to learn more and explain more over the course of my time here, things are CHEAP-food and drinks especially. Everyday we eat lunch at the same cafeteria and never pay more than 200 Naira–about $1.25–for a full plate of rice, beans, meat and a glass bottle of soda. $1.25! Can you believe that? I haven’t investigated the reason the food is so cheap yet, but I have asked some questions about the drinks. 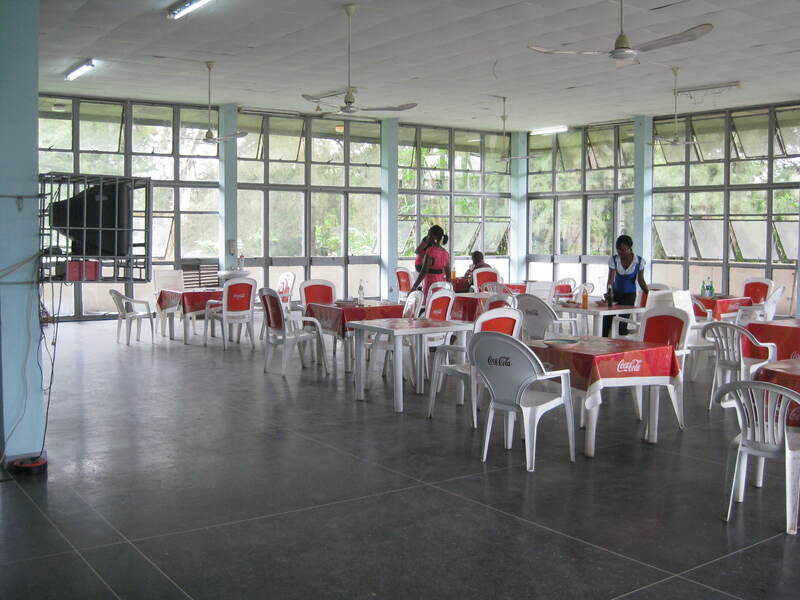 Cafeteria Baluwa on the University of Ibadan campus where we eat lunch most days because our director says the food is safe here. In general, soda comes in a tall glass bottle. When you are finished drinking it, you need to return it to the lady who runs the restaurant or cafeteria. If you want to take a drink to go, you ask for a can of soda, but that will cost you more. 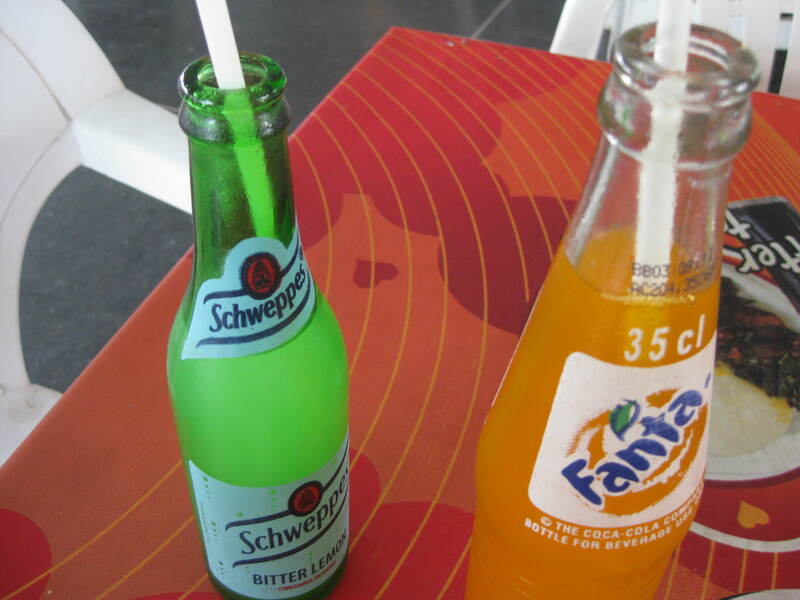 A bottle is 60 Naira (about $0.40), whereas a can is 80 Naira. Schwepes Bitter Lemon and Fanta in glass bottles. You drink it with a long straw. You return the glass bottle, instead of throwing it away, because the restaurant sends the racks of glass bottles back to the bottler to be refilled and returned to the store. So when we pay for a bottle of Fanta, we are paying for the liquid content only. How efficient and environmentally friendly of Nigeria!